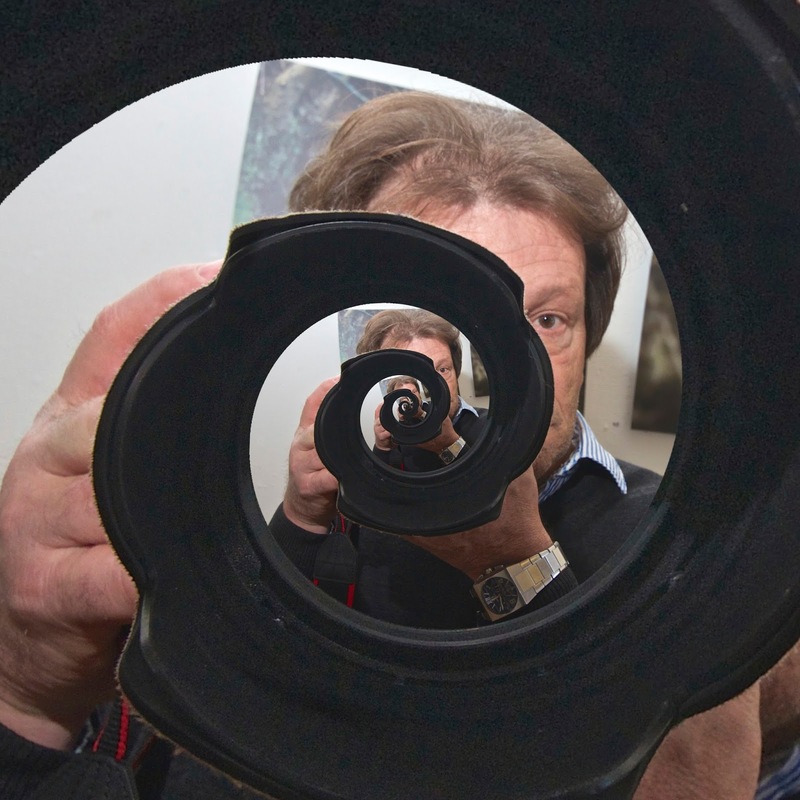 At my Creative Photography presentation, I talked about creative thought processes, strange loops, conceptual spirals, and how they relate to photography. I was at the Lerum Photo Club Spring Exhibition recently. It was especially exciting for me because I was there both as an exhibitor and as a presenter. I have friends in the club, but joined quite recently, so this was my first exhibition there. How do you get the maximum in-your-face effect with a gun and a wide angle lens? 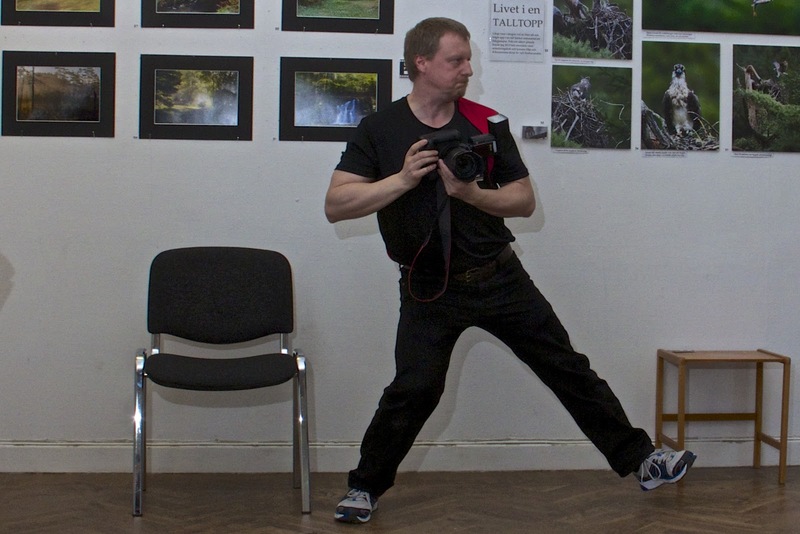 The nice thing about a good exhibition is that you can try things out on the spot. Clint Eastwood could not do it better. For me, exhibitions are more about ideas and people than about the actual photos. Don't get me wrong, I love looking at other people's photos, and there was some really good work exhibited. It's just that I am more interested in the future than the past. The photos I exhibit are finished work, and therefore less interesting to me than the stuff I am working on now, and the things I plan to work on in the future. You can learn a lot by watching other people in action. This may look funny, but if you want to take panorama shots where you shoot the inside of a room, it is a quick and useful way to position yourself between shots. There were several presentations held at the exhibition. I held two. 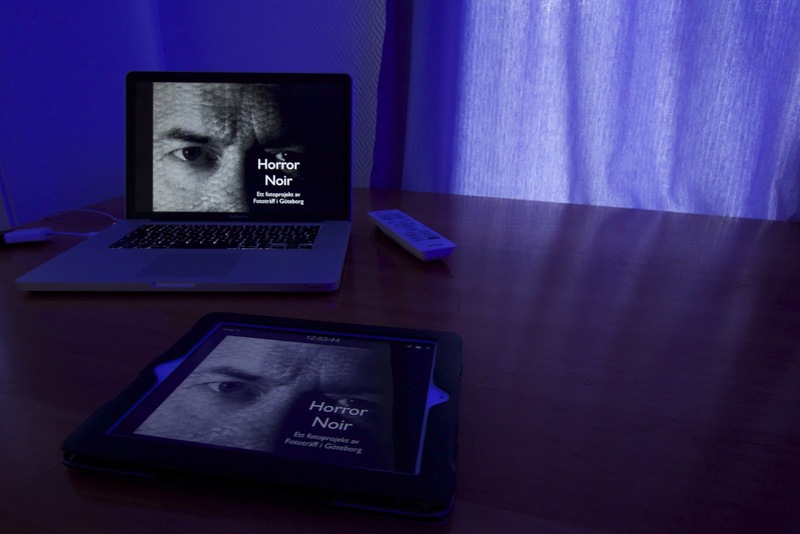 The first was about Horror Noir, an ongoing project I run in a photography group. The objective is to create a photo comic containing a horror story based on H. P. Lovecraft's Cthulhu cycle, and shot in film noir style. My second presentation was about creative photography. 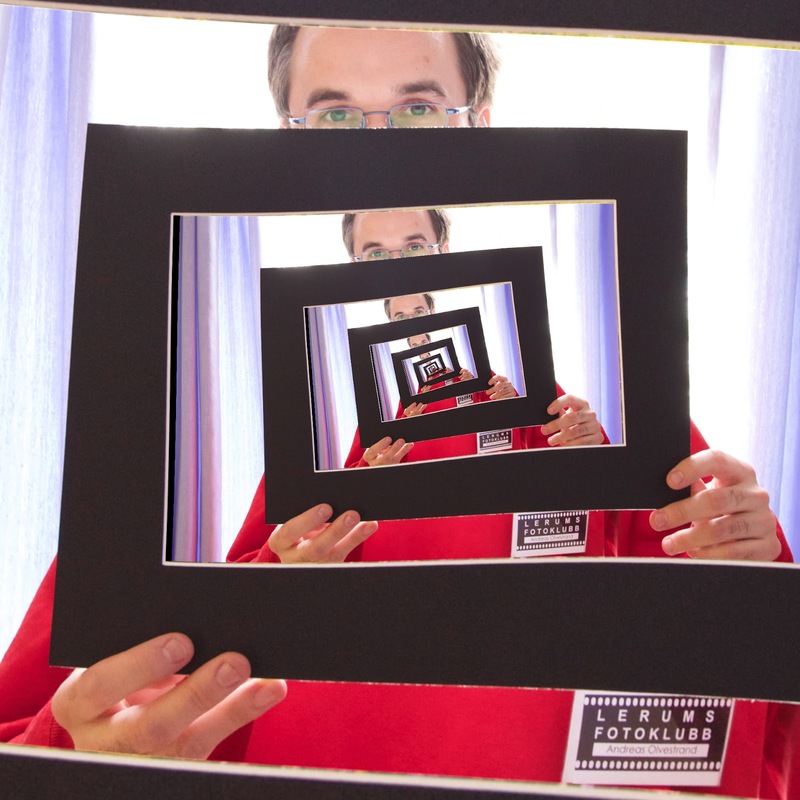 I used the droste effect, the recursive picture-in-picture effect shown above as a metaphor for theories about creativity, like John Boyd's Conceptual Spiral and Douglas Hofstadter's Strange Loops. I also talked about how creativity requires both divergent and convergent thinking. And, of course, I delved into the process itself, how it works, and the bias against creativity, why creativity often leads to alienation. Not lightweight stuff, but something I think most creative people can relate to. 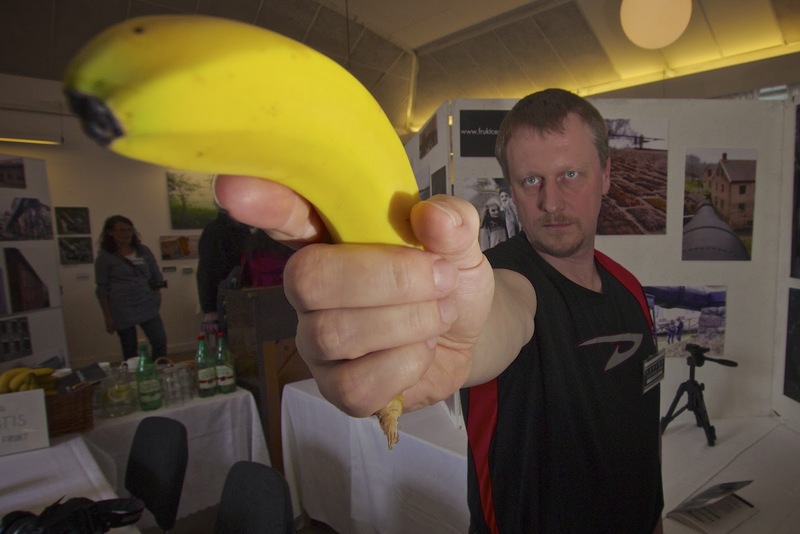 If you were at the exhibition, you might enjoy the little slideshow above. Both conventional photos, and some creative experiments.